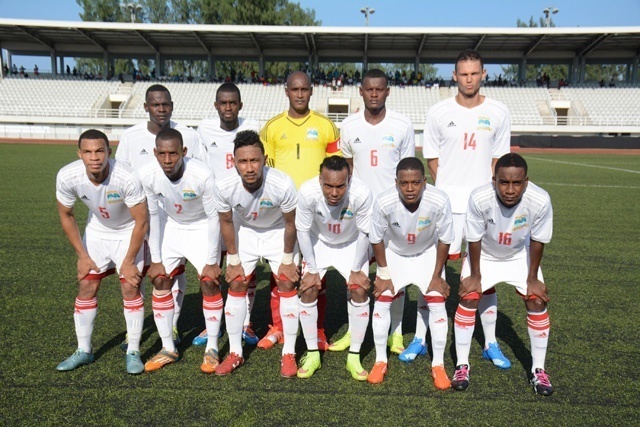 (Seychelles News Agency) - The Seychelles' men’s football side will face Nigeria on Friday in its last qualification match of the African Cup of Nations (AFCON) 2019. Before proceeding to Nigeria for their final Group E match against the Super Eagles, who have already qualified, the Seychelles’ Pirates went on a training camp in Ethiopia. The match will start at 7 p.m. Seychelles' time at the Stephen Keshi stadium in Asaba, Delta state. “Our season has changed and our national players are not in training with their local clubs, so the team left early to have some friendly matches in preparation for the Indian Ocean Games. It will also help in the game against Nigeria,” said Bibi. “This will be good for us because we often have a hard time getting venues during June with all the various activities so with the change we will be offseason. When the African season starts our teams will already be playing in the local competitions so players will be in good physical shape,” he added.